Like clockwork, a new Mudlet release is here with a ton of improvements across the board. A feature that’ll come in quite handy where MUDs allow you to play multiple characters at once – you can now have one profile talk to other profiles in your code. A new function raiseGlobalEvent() allows you to raise events from one profile that will be received in all other open profiles. This would be an option familiar to MUSHclient users. To enable it, enable “Echo Lua errors to main console” in the “Main display” preferences. Additionally, timestamps will also be copied if you have the timestamps view enabled in your main window and use copy or copy to HTML. You can now ctrl+click on a line to select it entirely. Ctrl+S (Cmd+S on macOS) has now been enabled as a shortcut in the trigger editor – so you don’t have to hit that ‘Save Item’ button every time. Similarly, Ctrl+Shift+S will now save your entire profile to disk. 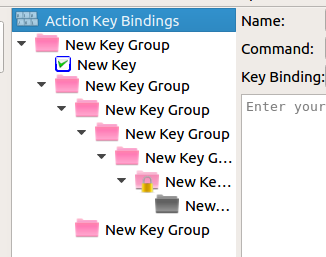 Key folders have now gotten their own colour in the trigger editor: pink. Having been thoroughly tested on many MUDs, GMCP is now enabled by default on new profiles – if your game supports it, Mudlet will enable and make use of it. You can now raise a label or a miniconsole above all others with raiseWindow(), or lower it below all others with lowerWindow(). This can come in pretty handy when creating your Mudlet GUIs. Remember that the default Z-order of elements is the order they are created in, with newer labels/miniconsoles coming on top. getMousePosition() has been added, allowing you to know the mouse position (within Mudlet only) – this’ll help enable make dragging UI elements much easier. Try it out for yourself on Mudlet 3.1.0. These are two very useful events for script makers: sysInstall allows you to do post-install actions and sysUninstall allows you to do pre-uninstall actions. Useful applications of this include showing a help or a welcome menu as soon as your package is installed or removing your UI and resetting the borders back to default for your GUI package. In addition to this, more fine-grained events are also available: sysInstallPackage, sysInstallModule, sysSyncInstallModule, sysLuaInstallModule, sysUninstallPackage, sysUninstallModule, sysSyncUninstallModule, and sysLuaUninstallModule. You can now tell when a particular sound has finished playing with the sysSoundFinished event. In addition to this, the limit on playing maximum 4 sounds simultaneously has been removed. We’ve been modernising Mudlet heavily. The Linux continuous integration environment has been updated to Ubuntu 14.04 LTS and we’ve introduced automated macOS installer creation – this means anyone contributing to Mudlet can get a macOS Mudlet install for done for them automatically! This makes it much easier to code up a feature, submit it for inclusion to Mudlet, and get test versions of it in return for letting your friends test it. Communi, the IRC library included with Mudlet, has also been upgraded to the latest 3.5.0 release. We’ve put a lot of work into modernising Mudlets C++ codebase: the project is now using C++11, Qt 5.6, and clang-format automated code styling. This enables Mudlet to make use of really nice C++11 features like the auto keyword (letting the compiler deduce the type), ranged-based for statements (far more readable than iterators), and lambda functions (using a function inline – especially nice for small Qt slots). All of the code has been upgraded to use auto and range-based foralready, and most of it has been through the automated code styling – so if you’re curious about playing with Mudlets code using modern C++, have a look! We’ve started on automated testing of Mudlet by robots – they’ll help raise the alarms should we break anything by accident. Teaching the robots doesn’t require any programming experience, so if you’re interested in helping us out, join us on Discord. We’ve now moved issue tracking to Github and setup a PR-based workflow. In addition to this, mudlet-lua – the Lua counterpart to C++ in Mudlet – has been merged back with the main repository. 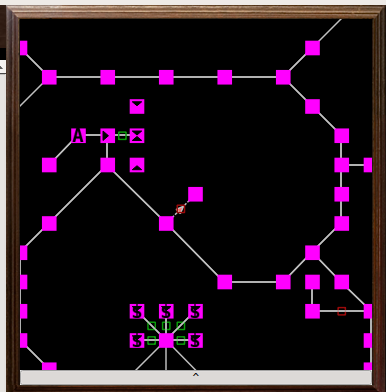 All of these changes reduce the overhead of developing Mudlet and make it a more pleasant experience. A list of all the things changed in Mudlet 3.1.0 since 3.0.1, sans API changes which are detailed down below. fixed showColors() text luminosity being incorrect in certain cases. As part of the on-going process toward Mudlet 4.0 becoming more International and supporting languages other than English: Lua commands that accept user supplied text as arguments are gradually being reworked to gain the ability to process UTF-8 text. This and related steps are only at a preliminary stage at present but form a major component of the mile-stones on the way to the next major Mudlet release version. Big thanks to Ahmed Charles, Florian Scheel, Ian Adkins, Jor’Mox, Kae, Nyyrazzilyss, Pavol Gono, Stephen Lyons, and Vadim Peretokin who collectively put in 980 commits to Mudlet’s foundations. Shoutout to all the helpers in our Discord channels and and everyone who’s helped improve our wiki!